At the end of One False Note, book two of The 39 Clues, Amy and Dan Cahill had narrowly escaped grave danger, outwitted numerous competitors, and uncovered a second clue. Another normal day in the life of a Cahill. The book closes with another meeting between the mysterious man in black and Mr. McIntyre, and readers are told “High above their table, the vapor trail of a jetliner left a white ribbon in the clear blue sky, heading east.” It’s a triumphant announcement – Amy and Dan, once again, are a step ahead of their apparently befuddled competition. One problem. Amy and Dan aren’t on the plane. The Sword Thief, author Peter Lerangis’ contribution to The 39 Clues series, begins with Amy and Dan at the airport, worrying about their luggage, carry-ons, security, and why the flight attendant checking their boarding pass has just said, “Un momento?” Note to Cahill siblings: If anyone asks you for un momento, especially in an airport, museum, or library, they’re not just being polite. They’re stalling you, and there’s a cousin or uncle or distant relative – another Cahill – behind it. Double-crossed by competitors thought to be out of the contest, at least temporarily, Amy and Dan form a reluctant alliance with their uncle, Alistair Oh, if for nothing else than his ability to offer them transportation, a hotel room, Japanese translations, and clean clothes. They eventually make their way to Tokyo following the clue discovered in Salzburg. Once again – twice, actually – they find themselves underground in their search, discovering hidden scrolls, haiku, maps, puzzles, codes, and numerous other “clues to the clues,” all of which, after being deciphered, lead them across the Sea of Japan. The search for the 39 Clues remains entrenched in history too. In the 1500’s, Toyotomi Hideyoshi was born a peasant but grew to be a great warrior, uniting Japan as a major power. According to Uncle Alistair, he was a Tomas and his descendants, the yakuza, still guard many of Hideyoshi’s hiding places. Unfortunately for Amy, Dan, and Uncle Alistair, his information proves to be correct, with the accuracy of a yakuza-thrown shuriken. 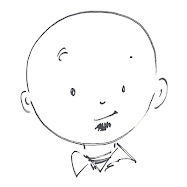 Peter Lerangis adds his own flavor to the series. The shortest book so far, The Sword Thief is still action packed, but moves quickly between scenes leaving readers to draw conclusions as to what happened in between. Near the end of Chapter 4, the Cahills are on a plane preparing to land and refuel. After a three page Irina Spasky update, Dan is stealing ashtrays from a hotel in Tokyo. Dan is also extremely funny, more noticeably so. I will make myself invisible by using ninja mind control, he thinks when stopped by airport security. The book is full of hilarious Dan one-liners. 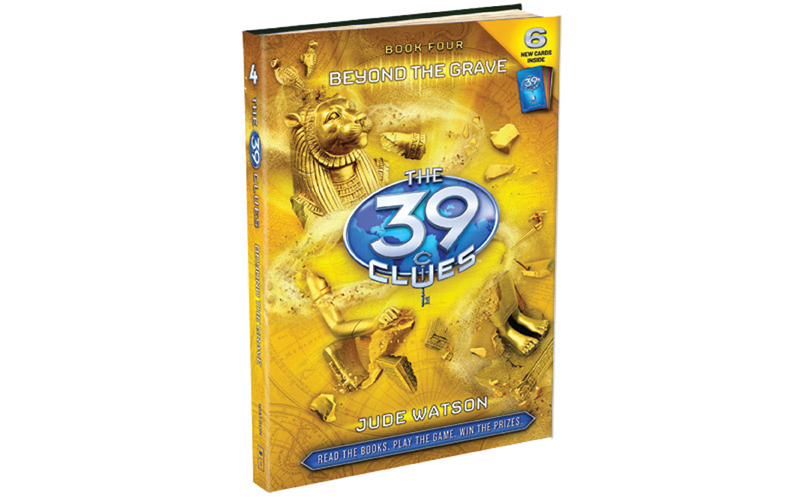 The hunt for the 39 Clues continues in The Sword Thief without a letdown, and promises to carry on all the way to Egypt in book four, Beyond the Grave by Jude Watson, scheduled for release on June 2, 2009.